Danieka has met royalty, sailed on 65ft racing yachts and modelled a designer T-shirt this week. 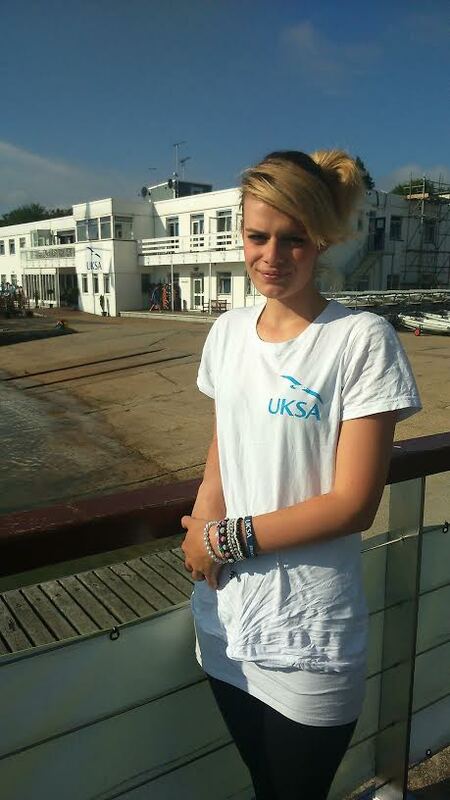 She’s had all these opportunities thanks to UKSA, for which she is now a young ambassador. When Danieka first got involved with us it was hard to get much out of her, except a lot of nervous giggling. She was living in a hostel, had no direction in life and no ambitions at all. She completed our Unlocking Potential course over four weeks, and at the start she was unconvinced it would be any different from other ‘back to work’ courses she had tried. Yet in just a few months she is now a far more self-assured 20-year-old and has a list of things she wants to achieve in the next few years. The course has an 89% success rate and Danieka is one of the many success stories. She told us about what she has been up to this Cowes Week: “I would sum it up by saying it’s been pretty good, I’ve never done anything like this before. I’ve been looked after by UKSA and met lots of amazing people. The sailing was really good, when I went for the first time with the hostel I didn’t enjoy it much, but this week the people have all been really nice to me and I’ve started to enjoy it. And I’ve stopped being seasick! She also met Prince Philip, the Duke of Edinburgh. Danieka has now got herself a job in business admin and she is being sensible enough to save some money – she’s really keen on coming to UKSA to do the Watersports Instructor Training, so she has a goal for the first time in a long time. Although she has never been overseas she is talking about working abroad once she has qualified, and she has also set her sights on learning to drive. She’s definitely looking forward, having unlocked her potential with UKSA.